Malta can stop treating children in out-of-home care as a parental possession and, consequently, only partly safeguarding their rights, university lecturer Daniella Zerafa thinks. “As we implement new legislation meant to protect children in out-of-home care, we need to ask whether, in 2018, we truly want to move away from legislative practices, services and a mentality that only partially safeguards their rights,” Dr Zerafa told the Times of Malta. The former social worker – and a foster parent herself – was speaking ahead of the implementation of the Child Protection Act, which was first approved by Parliament just over a year ago but is now being revised. Her comments follow those made by Judge Michael Mallia, who in his conclusions of an inquiry into the Children and Young Persons Advisory Board’s operations, warned that the board should never risk the children’s future or feel torn between their and the parents’ interests. Dr Zerafa questioned whether Malta would continue compromising children’s stability and future. “The decisions made so far would have been made in good faith, but if we truly have the children’s interests at heart we should not feel we are between agents pulling in different directions,” she remarked. In his report, Judge Mallia refers to a declaration by the board’s chairwoman, Carmen Fearne, who noted that the board’s duty was also to bring children closer to their parents and, if possible, try reintegrate them in their biological home. The judge did not believe this was the board’s task, because it might not be genuinely in the children’s interest. Ms Fearne no longer chairs the board. A Family Ministry spokeswoman said she handed in her resignation in December 2017 for health reasons. The inquiry report is dated January 16, 2018. The advisory board deals with children under a care order, which, according to Dr Zerafa’s published research, is issued only as a last resort. “Social workers are very much aware of the impact that decisions related to parental care could have. Their primary aim is to try keep the family together and social workers consider a care order when children have been abused or are severely neglected,” she noted. That meant that the board decided on cases of children who had already been through a lot and it needed to ensure that their rights would not be further compromised, she added. One of the key findings of her research is that care orders are issued after the biological family is given repeated opportunities to make amends but fails to cooperate. Once children are removed from the home, it is clear there were serious and grave problems in the natural family that are not easily resolved. Though she was in favour of developing support services for parents, considering how challenging parenting could be, and in view of the fact that, often, the parents themselves had a difficult upbringing, Dr Zerafa insisted that the children’s stability was vital. She referred to the judge’s comments in his inquiry report, where he noted that fostering should not be disrupted just because the parents registered progress. “We need to make a shift in mentality where we have always looked at children as their parents’ possession and not as individuals with rights,” Dr Zerafa said. Judge Mallia recommends the continued development of the permanent fostering concept, something that experts have been demanding for years. Dr Zerafa believes that permanent fostering will provide children with stability. “Children who have been through a difficult start in life manage to settle down when they find a stable environment. “As things stand, children who have been in fostering even for 10 years could face drastic changes every six months, such as increasing contact with the biological parents, which could be traumatic, or even reuniting with them,” she said. After four years insisting with the government to take action on the Children and Young Persons Advisory Board’s operations, the Mallia report proves the Opposition right, Nationalist MP Robert Cutajar says. The inquiry was appointed by Prime Minister Joseph Muscat after Mr Cutajar alleged in Parliament, in October 2015, that in several instances, the board had failed to heed social workers’ report conclusions and decisions were made against children’s interests. Mr Cutajar is asking the government who will now shoulder responsibility for the decisions made to the detriment of vulnerable children. He will also ask the House Business Committee to discuss the inquiry report at the upcoming sitting. 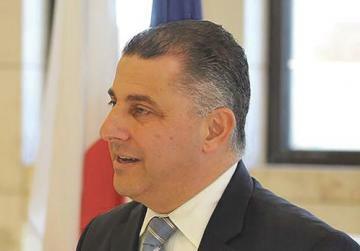 He adds that Family Minister Michael Falzon has asked for his proposed amendments to the Child Protection Act. 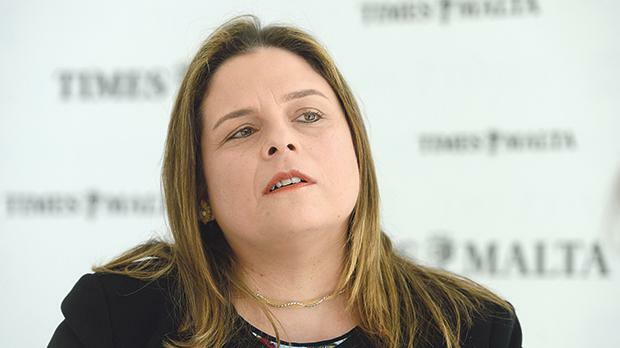 A Child Protection Bill was tabled in Parliament five years ago by President Marie-Louise Coleiro Preca, then family and social solidarity minister. The draft law was subsequently revised by her successor, Michael Farrugia. The Opposition put forward its suggestions and the new law was approved by the House in January of 2017. However, a legal notice bringing it into force has not been published yet.